The advanced design of the Zero® Engraving Machine makes available to you the smoothest, most accurate, fastest tracing ever produced. You will glide along as you trace through the mechanical acid resist prior to etching. Letter sizes from the largest down to a pin point (zero) can be traced with extreme accuracy at high speed. 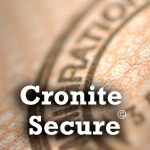 The Zero® Engraving Machine also includes other advanced, patented features. We can supply a large selection of masterplates for the reproduction of lettering on the Zero® Engraving Machine. 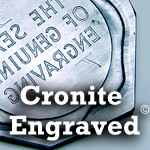 Cronite manufactures over 400 alphabet styles and monograms of masterplates. 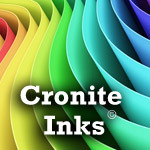 These styles are normally stocked for immediate shipping for the stationery engraving trade in a reversed sense, but most styles can be made “forward” for the general signage and jewelry trades. Many gun and knife engravers use the Zero® Engraving Machine for transferring graphics and text. When ordering a pantograph machine, ask us to send you our booklet of engraved letter styles to help you make your selections of masterplates. Used and reconditioned pantograph machines are available. 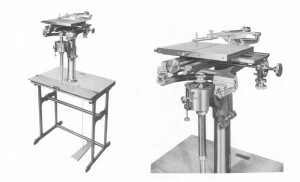 On occasion, “as is” pantograph machines are available as well.